Green Tree Python & Boyds Forest Dragon. The History of Reptile Keeping. Black Headed and Woma Pythons. Blue Tongues and Other Skinks. Childrens Pythons and Frill Necked Lizards. Diamond Python and Jungle Carpet Python. Expos’ and the Top 10 Reptiles as Pets. 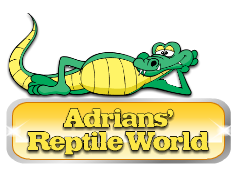 You can view the Adrians’ Reptile World Series here Courtesy of YouTube. View each Episode by clicking on the buttons for the various Segments Below.